Prime 1 Studio has opened up pre-orders for their upcoming Bloodborne: The Old Hunters – Eileen The Crow 1/4 Scale Statue. The statue will stand over 28″ tall atop a themed statue base. The statue will be available in a Regular Edition and an Exclusive Edition. Both versions will include an extra set of interchangeable hands holding a split Blade of Mercy. The Exclusive Edition will also include an extra interchangeable portrait, more swap out hands, and a poster. 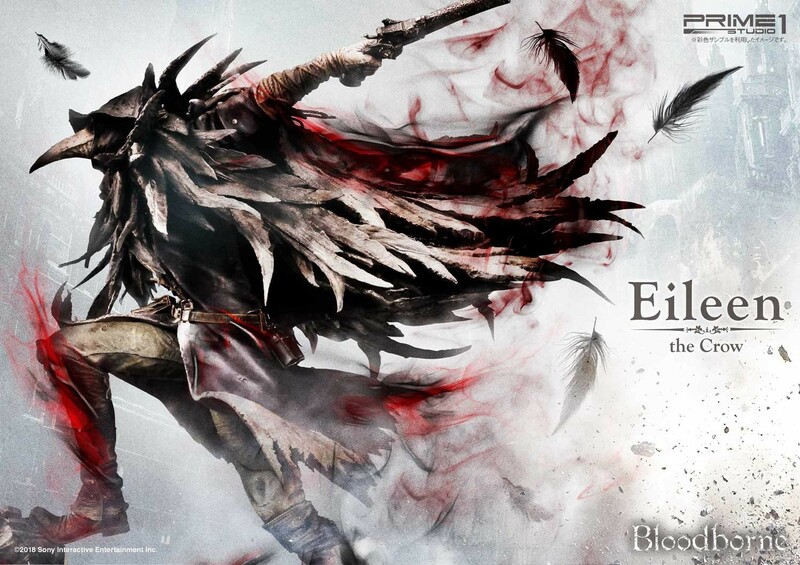 Look for the Eileen The Crow Statue to be released some time between November 2019 and January 2020. Pre-order links and &#187; Continue Reading. The post Bloodborne – Eileen The Crow Statue by Prime 1 Studio appeared first on The Toyark - News.